Last Saturday we received 2 inches of rain. Add that to all the water we pumped on the peppers the week before and you have the recipe for some pretty wet fields. On my Monday morning walk around the farm, there was standing water in some of the fields I had hoped to work this week. The weather looks good for this week so perhaps towards the end of the week we can get out there and get some field cleanup done. This week we'll continue processing winter squash and pumpkins. We did one last Thursday and hopefully will get two or three done this week. Between field clean up, processing for seed, seed cleaning and working on the pepper breeding project we've got plenty to do this week. We're also harvesting seed from the pumpkin breeding project and whatever else pops up. Jeff caught three squirrels last weekend and relocated them to our neighborhood. I think they'll find the pickings down home to be somewhat slimmer than around the seed processing area at Johnny's. They can head over to my garden to help harvest the rest of the sunflowers I planted for the birds, although as of last Sunday the birds had pretty well cleaned them out. Last fall I rototilled the sunflowers before the birds had a chance to glean the field so this spring I had tons of volunteers; this year I'll leave the sunflowers through the winter and they can feed till the seeds are gone. Leaving weeds gone to seed in the garden is a good practice I don't think many people know about. Studies have shown that predation by birds and mice will reduce approximately 75% of mature weed seed over the winter. A neatly rototilled garden looks a heck of a lot better than weeds gone by, but if you rototill the mature weeds under you're creating a perfect overwintering place for those weed seeds. As soon as the weather warms in the spring, those weed seeds are going to get a head start. If however the plants weren't tilled under, they can't get a head start. Last year and this year I've had the largest garden I have ever had; roughly 50 by 130. That's 6500 square feet; or about 0.15 acres. Not a huge garden by any means but more than I can take care of and do right. The past couple of years I have grown all the veggies we need, plus many extras for the neighbors and friends. This year was especially challenging between all the rain we got and the late blight at Johnny's which consumed much of my time. I think for next year, I'll cut my garden space down by 65% and do a better job in a smaller space. My plan is to use the best third of the garden to do the necessary crops: onions, carrots, beets, Brussels sprouts, broccoli, summer squash and some flowers. And perhaps some potatoes for “new” potatoes. The other 2/3rds of the garden will get additions of organic matter and cover crops for the season; the soil really needs some work! Use plenty of potting mix to eliminate weeds and provide ample moisture so watering is decreased. User materials I have so cost can be kept down. Each bed is four feet wide, 1 foot deep and eight feet long; a total; of 32 cubic feet of soilless mix for each one. I use soilless mix as there's no chance of weed seed popping up. I use 5 yards of a popular potting mix along with a couple of pounds of organic fertilizer. 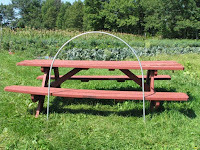 My design includes built in hoops for row covers to protect from insect and inclement weather and are easily worked on and reached by Peggy and (No Bending!). I'll let you know how things go this winter; perhaps I'll put one or two raised beds in my greenhouse and really get things growing early. Or perhaps I'll just visit the Farmer's markets more next year and let them do the growing. We've just wrapped up irrigation of the peppers. Irrigation is done to protect the plants from frost. Watering helps raise the temperature of the plant and the air around the plant to the warmer temperature of the water. In addition, as the water freezes it actually releases heat, thus further protecting the plant from frost. A little frost brings out the flavor and color of Kale, one of the most nutritious vegetables you can grow. This tasty brassica green is loaded with Iron and Vitamins A and C. It's great steamed with a squirt of lemon and can be used in a salad. Leeks ready to pick: This onion cousin is a great late-season crop. 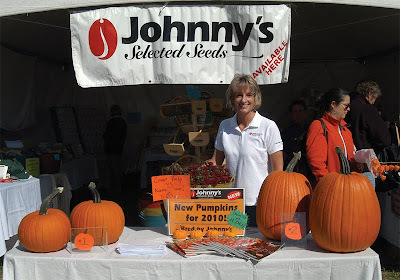 Many Johnny's varieties can handle a heavy frost and are considered winter-hardy. Tom O'Connor, of Lakeport, Calif., won the Johnny's Selected Seeds contest for best photo of summer 2009. 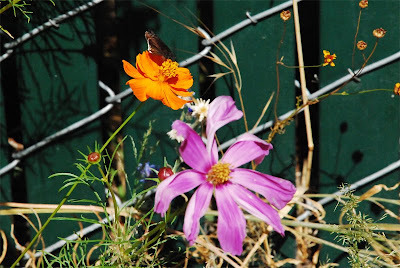 O'Connor took this snapshot of his Butterfly Hummingbird Mix garden. Grower's Notes: Planted way back in March flowering since late May and still going strong.They look great and the butterflies hummers and bees think they taste great as well and most importantly.First year gardening in this location.Planted along a chainlink fence with dark green plastic privacy inserts making for a serious heat sink given its southwest exposure in an already seriously hot sunny and dry environment not complaining. Plan to plant them extensively around perimeter next year now that I've seen how they've produced and held up in the heat and dry conditions. The first frost of the season happened Saturday morning - early. I had 27 degrees at home but only briefly; a light frost on galinsoga and not much else. Here at work we ran irrigation from early Saturday morning to about ten AM on that day. Everything was working fine when I left around 2:30 in the morning, but by seven, when I came back, something wasn't right with the pump and we weren't getting much water out in the field. The hot peppers got some frost damage on their tops but the sweet peppers and the tomato trial look OK.
Running irrigation water to prevent frost damage has its drawbacks. If anything is going to go wrong it will be at 2:30 in the morning; not the day you set it up. We set up the system on Thursday, blew out the lines and pressure tested it and everything was fine. Saturday morning sometime between when I left and when I returned is when something went wrong. The pump is now in the shop, completely disassembled, while we're waiting on information from the dealer. There's no frost in sight, at least for a week, so we should be all set; of course that's subject to change according to the local weathermen. The galinsoga is dead, and I mean dead. It has absolutely no frost tolerance so, except for where we irrigated, it's dead in every field I toured this week. Speaking of touring the fields, I did my usual field visits this week, Monday, and all the fields except Jack's had been frosted. Jack's escaped frost by being near the pond and being on a hill. All the squash and pumpkins got heavily frosted so they're easy to see and will be easier to pick than if the leaves were still up. For long term storage you'd not want them to get frosted, but for seed it's fine. We're still picking tomatoes; we've got two or three to pick this week and we'll be done with the tomatoes for seed production. We've got lots of seed from the tomato breeding workshop to seed out so that will keep us busy for quite some time. We've got squash and pumpkins to harvest for seed as well as a cucumber. We've got peppers, squash and pumpkins to harvest from the breeding workshops and we've got the usual plastic removal, miles of tomato trellises to take down, chisel plowing and equipment cleaning and repair to do in the next couple of months. Guess we'll keep busy. Even though we don't harvest crops like a regular vegetable farm, we are more than busy saving seed for use in future years. I think growing for seed is much more interesting than growing for fruit. If you grow a tomato plant to eat, once you're done eating them, well you're done. But seed on the other hand is more of a whole circle type of experience. You grow the plants, harvest some for eating and harvest some more for seed. Next year you plant the seed that you grew and start the process all over again. This is where a lot of heirlooms come from; people saving their own seeds from their own climates with their own likenesses for generations. Saving seeds from cucumbers, melons, tomatoes and peppers is relatively easy. Once you become proficient at saving these, moving on to biennials brings more of a challenge. Carrots, beets, turnips, Swiss chard and parsnips to name a few, all need two growing seasons to complete their life cycle. Each of these needs to be stored through the winter, replanted in the spring and harvested in mid-summer. The autumnal equinox has passed, the days are quickly getting shorter, and the change of seasons is upon us. It's time to wrap up the current season's unfinished business and start planning for next season. 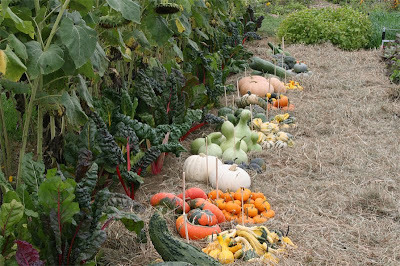 In frost-free climates, you can plant cool-weather crops outside to harvest throughout the fall and winter. These include arugula, beets, broccoli, cabbage, carrots, cauliflower, celery, collards, kale, lettuce, onions, peas, potatoes, radishes, rutabaga, spinach, and turnips. Leafy herbs also do well in winter, so plant chives, cilantro, dill, and parsley. 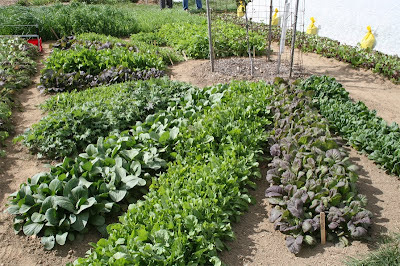 In mild winter climates, you can plant cool-weather crops under row cover or in the hoophouse to protect them from frost. Their growth won't be as quick as in spring because of the declining day length, but you will be able to harvest many vegetables this fall and winter. Leafy greens and root crops are easy at this time of year. Plant arugula, beets, carrots, collards, kale, lettuce, onions, radishes, spinach, and turnips. And if you're in a region where hard freezes are common, you can still plant under row cover and overwinter crops that will be ready to harvest early in spring. Onions and spinach will do just fine in most places, given appropriate protection. A hoophouse or Quick Hoops (see Product Spotlight at right) will give you a harvest a month ahead of spring-sown crops next year. Many crops will be fine, or even improve, with light frost. Those include most root, leaf, and flower bud vegetables: artichokes, beets, broccoli, Brussels sprouts, cabbage, carrots, cauliflower, chard, collards, kale, lettuce, mustard, onions, parsley, spinach and turnips. If your markets will be ending soon, you might want to top your Brussels sprouts plants to get a uniform harvest of the sprouts that remain. A week before your expected first frost, cut the growing tip out of each plant. But if you want to keep them producing well into fall, leave them untopped. Their flavor is improved by cold weather and in milder areas, you will be able to pick into December - perfect for holiday markets.plant chives, cilantro, dill, and parsley. Peppers will slow down with the shorter days and cooler temperatures, so pick off any small ones that aren't likely to mature before first frost. The remaining peppers will size up faster. When frost threatens, pull up chile pepper plants and hang them in a warm, well-ventilated area so the chiles will dry. Winter squash will not ripen after being picked, so you have to protect the entire plant from early frosts if you have a large number of immature fruits. 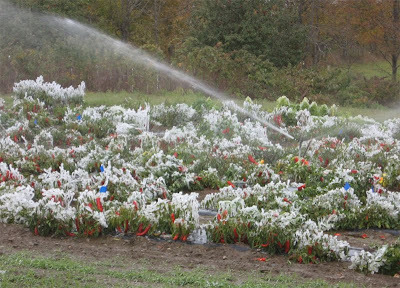 Sprinkler irrigation can be used to protect fruits from light frosts. Mature fruits can withstand one or two light frosts, but too much frost can cause spotting and poor storage. Tomatoes will ripen and can be labeled "vine-ripened" if they have reached at least the breaker stage - pink on the blossom end - when they are picked. The ripening stages of tomatoes are immature, mature green, breaker, pink, and red. Mature greens are identified by a white to yellow star on the blossom end, and they also may ripen if they are kept dry and above 50°F/10°C. That's the stage when most commercial tomatoes are picked for shipping. Once crops have been harvested, it's time to clean up the remains. Field sanitation consists of plowing down, composting, or otherwise removing plant debris, and mowing adjacent areas. Flowering plants can be left to provide seed for birds, but otherwise plants should be removed from the soil surface to prevent overwintering of pests and diseases. If you had a specific pest problem this season, do some research on the life cycle of the pest to determine where it is overwintering, and take appropriate action to deprive it of those conditions. For example, tarnished plant bugs - a serious pest of strawberries - overwinter as adults in leaf piles and wood piles, so don't leave those near your strawberry field. Most plant diseases will be killed by hot composting to 160°F/71°C. However, plant pathologists are recommending that plants with late blight be removed from the farm altogether to prevent the inoculum from overwintering. Now is the time for a preliminary records review, while details are still fresh in your mind. In theory, you have been keeping planting and yield information all season, so you can go back and add comments about other aspects of the varieties you grew. Did your customers like it? Did you sell out, or did you have too much? Was the variety quicker or slower to mature than you expected? Was it better or worse than comparable varieties? Write down everything you can think of that will help you decide what to plant, and how much to plant, next year. You should also have sales records for your crops, so do your tallying soon. When you see how much money you made on a crop - while you're remembering how difficult it was to grow - you'll make better decisions later about whether to grow it again, try a different variety, or drop the crop altogether. If you sell to wholesale accounts, go back through your invoices and be sure you got paid for everything you delivered. You're more likely to collect an unpaid invoice if you deal with it sooner rather than later. Finally, try to get at least a ballpark figure of what you earned. You'll have to pay taxes soon, so you need to plan for that final expense of the season. Extend your season this fall, or get an earlier start next spring with a crop of succulent spinach. 'Tyee' is recommended for fall planting. In mild areas or in a hoophouse, individual leaves can be harvested beginning in about five weeks and continuing all winter. In cold areas, it can be grown outside under row cover and overwintered for an early spring harvest. 'Tyee', the standard overwintering variety, is savoyed with an upright growth habit that keeps leaves clean. It is the most bolt-resistant savoy type, so overwintered crops will last longer in spring before going to seed. Spinach gets sweeter and crisper with cold temperatures, and demand will be strong, so plant accordingly. 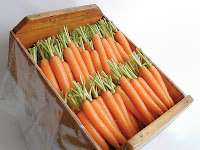 'Napoli' is the variety Coleman uses for his "candy carrots," which are winter-harvested carrots with an extraordinary sweetness. 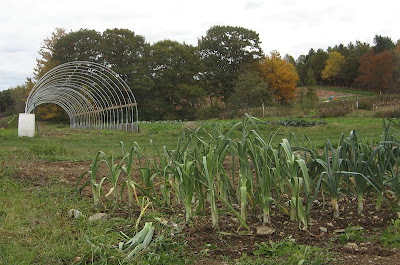 At his farm in Maine, he plants them in late July and early August, both in the field and in the unheated hoophouse. 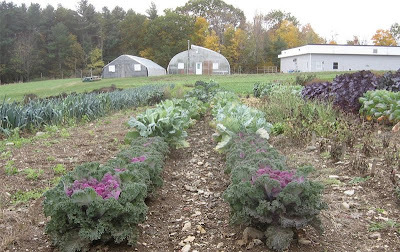 The field plantings are harvested in October and November, and the hoophouse plantings remain in the soil for harvest in December, January, and February. 'Napoli' is available as organic raw seed, organic seed with pelleting approved for organic use, nonorganic raw seed, as well as nonorganic seed with conventional pelleting. 'Nelson' is the preferred variety for overwintering. Coleman plants it in late December and it is ready for harvest May 10. Though not as sweet as the winter carrots, 'Nelson' is a good choice for early production. 'Nelson' is available as nonorganic raw seed, nonorganic seed with pelleting approved for organic use, as well as nonorganic seed with conventional pelleting. Johnny's is pleased to introduce the Quick Hoops Bender, a tool used to make hoops for low tunnels quickly and neatly. It is the result of a collaboration between Johnny's Selected Seeds, Lost Creek Greenhouse Systems, and Eliot Coleman, who advocates the use of Quick Hoops in his new book, The Winter Harvest Handbook. Coleman notes that three rows of Quick Hoops cover the same area as a 22 x 48 foot greenhouse, at 1/20th the cost. He uses Quick Hoops to overwinter onions, lettuce and spinach, which will be ready for harvest a month ahead of the earliest spring-sown crops. Low tunnels are widely used on vegetable farms for a variety of reasons - they are covered with heavyweight row cover for frost protection, with lightweight row cover for insect protection, and with shade cloth to extend cool-loving crops into summer. Most growers have been using hoops of PVC conduit or coiled wire for their low tunnels. But those don't hold up well to wind and snow, so they aren't usually used to overwinter crops. The Quick Hoops Bender, however, is designed to create hoops out of galvanized electrical conduit (EMT), which is much stronger and can take snow loads. 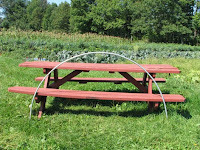 These hoops can be pushed into the soil about 10 inches and covered with spun-bonded row cover in fall and then with greenhouse covering in winter. Both coverings are available in compatible sizes from Johnny's. The Quick Hoops Bender can be used to bend galvanized electrical conduit from ½ inch to 1 inch, and even 1-3/8 inch galvanized fence pipe. For most applications, ½ inch conduit is recommended. It is available in 10-foot lengths at home improvement stores for about $2 each. 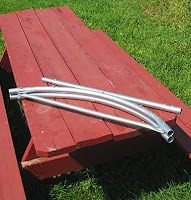 The Bender should be attached to a strong surface, such as a workbench or picnic table. Conduit is then fed into a holding strap and the operator manually pulls the conduit into shape around the bender. A hoop takes about a minute to bend. 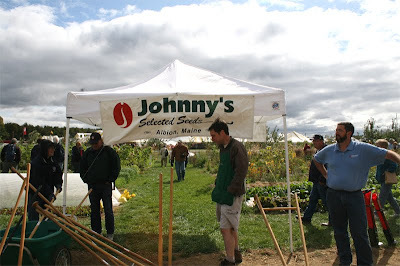 Detailed instructions and a video are available at www.johnnyseeds.com. The Quick Hoops Bender comes in two sizes: #9520 creates hoops that are 6 ft. wide and 3 ft. tall (before insertion into the ground), which can cover two 30-inch-wide beds with a footpath between them; #9377 creates hoops that are 4 feet wide and 4 feet tall (before insertion), wide enough to span a single 3-foot bed and tall enough to be used for most summer crops. The Quick Hoops Bender is available now, at $69 for either size. In the next few months, Johnny's will introduce an optional trailer hitch mount for a farm vehicle, so the hoops can be bent right in the field where they will be used. 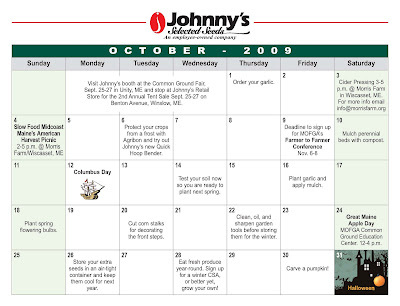 Here is Johnny's 2009 Events Calendar. Let us know if you have any suggestions for next month.